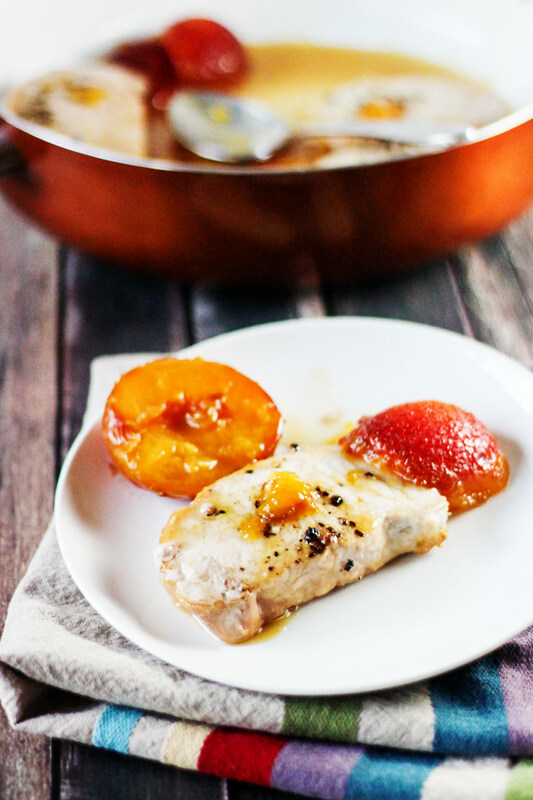 These Red Plum Pork Chops are the perfect way to use those fresh plums that are coming in right now. And, it is super easy and doesn’t even have a lot of ingredients. Speaking of ingredients, one of them is white balsamic vinegar, which is my new favorite thing to add to just about anything. But, it is especially nice with the honey an plums in this recipe. This recipe can be made start to finish in around forty-five minutes, which makes it perfect for busy week nights – especially for those of you that have school starting back soon. This is our first year of everyone being out of grade school – though my son and I are both taking college classes, but they start a few weeks later than high school. I just got out of a very intense summer class, so for me summer is just beginning, but schools start back the first week in August here, so every where I go I see back to school/fall stuff. I am so NOT ready for that, so you can expect to see a few more summery recipes around here. But, even though this recipe is full of summer plums, it does have a bit of a fall flavor to me. For some reason, I kind of always think fall when I eat pork, so no matter where you are on the summer/fall continuum this recipe works pretty well. Add pork chops to skillet and brown on both sides. Stir in vinegar, honey, and water. 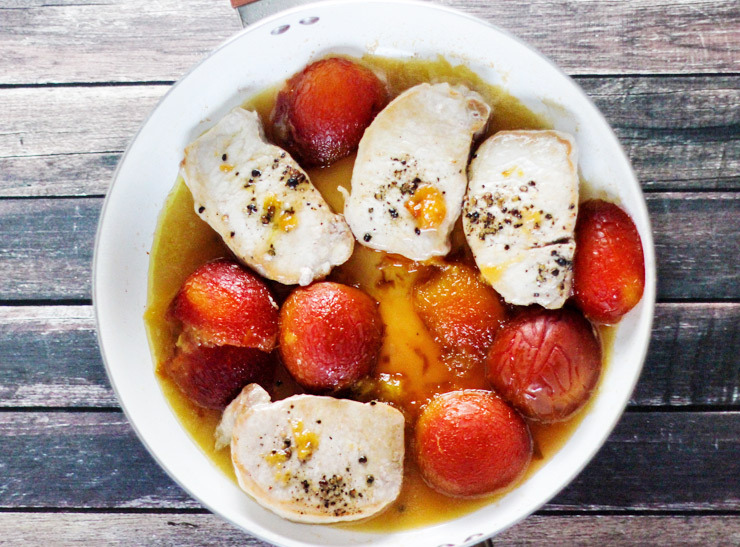 Place plums, cut side down, into pan with pork chops. Simmer for 15 minutes, covered. Remove the cover and simmer another 15 minutes or until chops are cooked through and sauce is thickened.